The academic world attracted him, but ultimately failed to satisfy – in Lebanon, he halted his post-grad Arabic studies and went off to be a journalist. “I was trapped by the real world.” He acquired the “tools of expression” through two years’ work in radio and television, followed by four years with a communications company. ECA2 was founded in Paris in 1974. It was named after an earlier company, Etudes Creation d’Ambiances, an important innovator in large scale, sound-and-light shows. Pierre Arnaud of the original ECA was Pépin’s mentor.“We were very ambitious: we intended to integrate light, sound and architecture to express something in a global context for the modern world,” says Pépin. When human imagery and human performance were brought into the mix, the toolset was complete. It was in the 1980s and 1990s that Pépin, with ECA2, conclusively defined the nighttime spectacular. Employing gigantic cinematic images projected onto the sides of buildings and other structures, and onto sheets of water or mist, enhanced by lasers, lighting, special effects and sound, Pépin’s team created shows that transformed outdoor environments and transported audiences. Pépin has consistently worked on a world stage, unfurling epic-scale, multimedia productions at international sports competitions, world expositions, special events, corporate events and theme parks. His millennial Fireworks Spectacular at the Eiffel Tower in 2000 captivated the public and the media, made the covers of both Time and Newsweek, and brought him global celebrity and acclaim. He produces events that speak in timeless, wordless tongues to global audiences. “I tell my people to be very open to the culture in front of us, to listen. It must be instinctive. When you reach into yourself to find what is common beyond the codes and signs, you find the answer in yourself. You don’t ‘adapt,’ you don’t ‘translate.’ You don’t masquerade as someone of another culture. achievements have been honored with many awards over the years, including multiple Thea Awards from the Themed Entertainment Association. Awarded projects include the Lisbon Expo 98 night show, the Millennium Show at the Eiffel Tower, the historical multimedia show in El Tajin in Mexico, the Toyota “Life is Movement” show at Aichi Expo 2005 in Japan, and “Songs of the Sea” at Sentosa Island in Singapore. The Beijing 2008 Olympics Ceremonies were honored with a Thea Award as well as the Artistic Directors Club Prize. 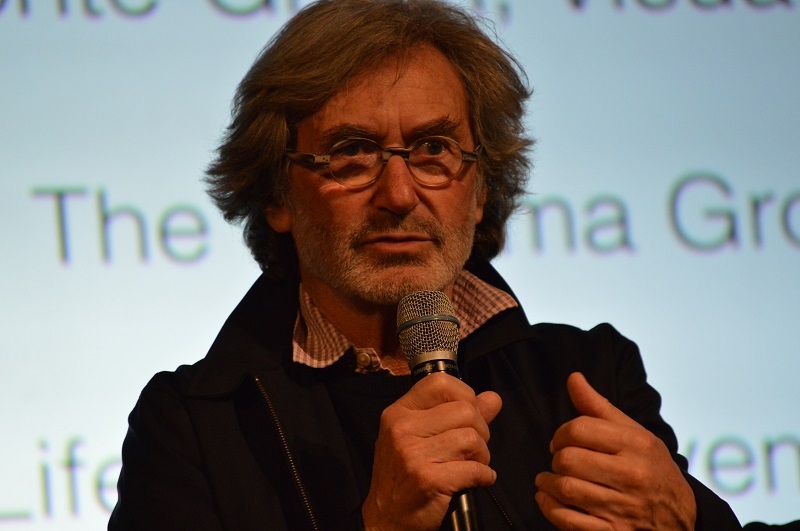 In 2006, Yves Pépin also received the Thea Lifetime Achievement Award honor, in recognition of his entire work and career. This article was originally published in the annual Thea Awards Program, by the Themed Entertainment Association.